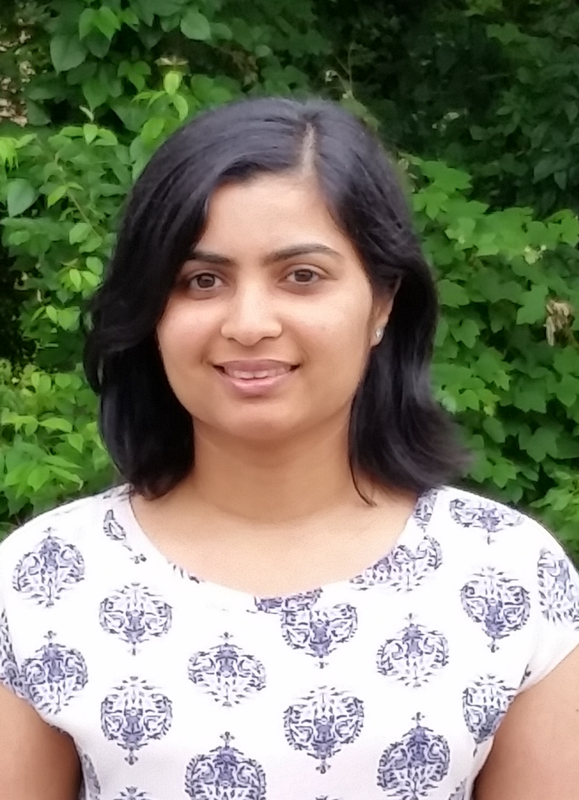 Lipi Mukherjee, Ph.D. student in atmospheric physics at UMBC, has received the NASA Earth and Space Science Fellowship (NESSF), which will provide funding to support her research for up to three years. Mukherjee is focused on creating a model to more quickly and precisely detect particles dissolved in large bodies of water that can reduce survival of local aquatic life, cause algal blooms, and modulate global climate. Satellites in space collect data that describe the light reflected by the ocean’s surface. Current analysis methods allow scientists to use the ocean’s reflectance profile to infer what kind of particles the light interacted with in the water, the water’s depth, and the sea floor’s structure. Although valuable, these methods are slow, require a great deal of computer power, and can’t always distinguish between situations that produce similar data output for different reasons. Mukherjee’s model will significantly speed up the analysis process by streamlining it to a single equation, while at the same time incorporating additional parameters to improve precision. Specifically, the model will detect the presence of colored dissolved organic matter (CDOM, mostly dead plants) and phytoplankton (tiny photosynthetic organisms), which contribute to dangerous algal blooms. Phytoplankton themselves have highly complex impacts, playing a role in global carbon regulation (by absorbing large volumes of carbon dioxide) while also posing direct threats to marine life by producing toxic compounds. Physics Ph.D. student Lipi Mukherjee. Photo courtesy Lipi Mukherjee. New in Mukherjee’s model will be the ability to detect water’s turbidity, or choppiness, by measuring polarization of the light returning to the satellites’ sensors. Light in calm water is generally polarized, meaning every light wave is heading in the same direction. In choppy water, the light gets bounced around, changing its polarization. Her model will also take advantage of UV light data for the first time, useful because dissolved organic matter and plankton absorb UV light. The structure of her equation will also make it easier to determine which parameter is responsible for changes in reflectance. The project requires strong computer programming skills, which Mukherjee has picked up since moving to the United States in 2010, after completing undergraduate and master’s degrees in India in physics, with an electronics concentration. She found a welcoming environment in The Graduate School at UMBC and shares that from the beginning “everyone was very helpful and open.” In particular, Todd Pittman, professor of physics, and Michelle Massey, assistant director of International Education Services, provided a great deal of support as Mukherjee transitioned to UMBC. Earning the NESSF fellowship is especially noteworthy for a non-U.S. citizen, because preference is given to proposals of equal caliber from American scientists, meaning Mukherjee’s proposal had to go above and beyond the high bar set by proposals from American colleagues. Mukherjee almost didn’t apply for that reason, but her advisor, Pengwang Zhai, assistant professor of physics, encouraged her and provided key support throughout the application process. Mukherjee shares that she is thankful for the “close-knit community” in the physics department, including faculty and fellow graduate students. Even before moving to the U.S., she says, “I always wanted to do a Ph.D. in physics, and I always dreamed of working for NASA.” Now, she is one step closer. Image: An algal bloom on the Bering Sea, captured by a NASA satellite and edited by Stuart Rankin. Used under Creative Commons License 2.0.